Jesus walks and gospel talks. Born Ashton Simmonds in Ontario, Canada, to a gospel singer Father, religiosity and nuanced devotion imbue his debut offering, ‘Freudian’. 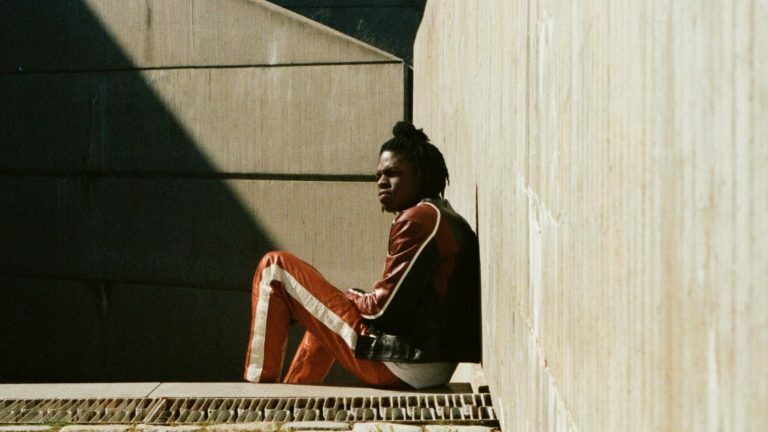 Released to universal acclaim back in August, venerated by the Grammys and Barack Obama respectively - selected twice in his ‘Best Songs of 2017’ - Daniel Caesar’s hype train is gathering steady steam, offering up a tender, neo-soul antidote to the harshness of trap-radio homogeneity. Clash is here on the second of two packed-to- the-brim nights at London’s KOKO, primed for deliverance, and boy does Daniel Caesar deliver. He instils his set with ritual-like piety, the experience of falling in and out of love akin to being consecrated. The set opens with the ‘if you love me, won’t you let me know” gospel refrain of his dazzling ‘Best Part’ duet with H.E.R, flanked by three backing vocalists, the soaring harmonic interplay drawing deafening cheers from the crowd. The stage is dimly-lit, incense burning, draped in Moroccan rugs, as if we’ve been invited to a partake in prayer at his family home. It’s warmly intimate and personal, a communion for the many millennials in the audience who like Caesar relive the peaks and troughs of young love in a synthetic age. Live, Caesar mirrors the reluctant awkwardness of Frank Ocean, but where Ocean is crippled by an overriding anxiety, Caesar uses his boy-next- door charm (he’s dressed in a tee, tapered trousers and sneakers) to ingratiate the audience to him. Of course his love songs do the bulk of the work, odes to unrequited love that have the girls pining and the guys singing along, but that personable quality is rare, and can’t so easily be replicated. It’s evident by the sing-alongs that Caesar incites and generous feedback from the audience, that he’s in tune with his performance. And it’s not all one-note. Caesar and his supporting musicians interpolate the gospel-based chord progression of Kirk Franklin’s ‘Hold Me Down’ with soft-funk and reverby guitar, Caesar’s dreamy reverie brought to life by lush, organic instrumentation. There are nice but subtle ethereal touches, take the synthy gossamer and soft-psychedelia on ‘Neu Roses’ that evokes some of Solange’s spectral polemic ‘A Seat At the Table’. Daniel Caesar is refreshingly unadorned live. His set isn’t clinical and technically clean - the pauses linger, the vocal interplay between the backing vocalists and Caesar could have been even enhanced more. Yet he’s only 22, with room to evolve. Already Caesar has an understanding of the contours of his voice - the airy falsetto and the softness of his lower register – and an appreciation of the immersive art of live performance, serenading the girls in the front and interacting in a delicate, poised manner throughout. As the set draws to a close, Caesar repeating the line “coming back home”, the narrative has come full circle, ending on a note of cathartic redemption, the crowd completely and unequivocally at his behest.